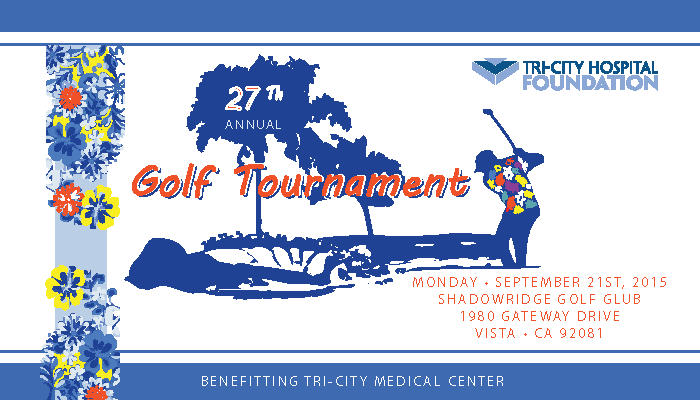 The 27th Annual Tri-City Foundation Golf Tournament will help create healthier futures for North County mothers and babies – all of the proceeds raised will benefit the expansion and renovation of the Mother-Baby and Neonatal Intensive Care Units (NICU) at Tri-City medical Center, which is the only Level III facility in North County equipped to care for newborns in the most critical condition. Since its inception in 1964, Tri-City Hospital Foundation has served as a vital link between the community and the hospital and has provided over $45 million in grants to Tri-City medical Center. Many of the hospital’s mission-critical facilities have been supported in whole or part by Foundation initiatives and community donations.